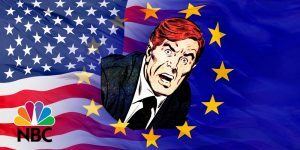 On the fourth of July there was a debate in the EU on US Citizen Based taxation, FATCA and the consequences for US persons in Europe. Americans Overseas was invited to Strasbourg for the preparation of the debate to explain the problems arising for US persons in Europe. Americans Overseas brought letters of banks refusing service as well as many statements of Accidental Americans and their challenges to become compliant. 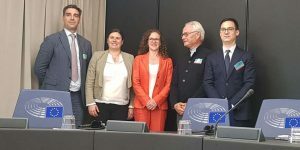 The debate was sparked by several organisations which includes Americans Overseas and hundreds of people who had petitioned the EU directly to act on the horrendous consequences of the US laws in Europe. The debate started with an overview by EU Member of Parliament Cecilia Wikström of the problems caused by FATCA. The US law has forced financial institutions in Europe to hand over data on clients that are US persons. The US has put such pressure on banks that some are starting to refuse people with US ties altogether to avoid the hassle. 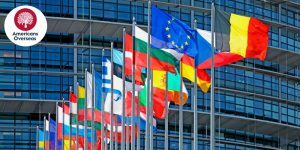 The EU petitioners questioned the legality of the information exchange under the new GDPR rules. Also, it is a fundamental right for any EU citizen to be able to obtain a bank account. The debate also questioned whether these rights were breached. The US has a system of Citizen Based Taxation which means US persons have to file taxes in the US even if they have never lived there. They could have simply been born there and moved away or been born from a US parent. This group faces several challenges from being compliant with US tax laws to figuring out in some cases how to still have a bank account. The form of taxation and its consequences were highlighted before the commission. The representative of the EU Counsil Karoline Edtstadler and EU Commission Member Věra Jourová responded. 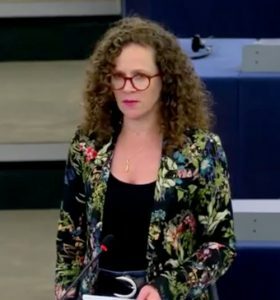 Jourová stated that individual countries had come to an intergovernmental agreement (IGA) on FATCA with the US and that the EU was never asked to make agreements on behalf of all European countries. Therefore, there wasn’t much that could be done. Furthermore, the legality did not seem an issue when viewed in light of the GDPR (General Data Protection Regulation). 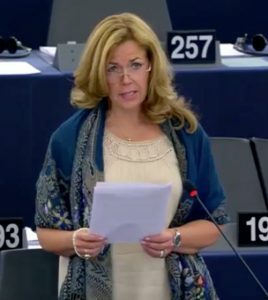 Edtstadler stated that it is not the role of the EU to examine or question US tax policies such as Residence Based Taxation. Edtstadler also indicated to see a legal basis for the exchange of information. 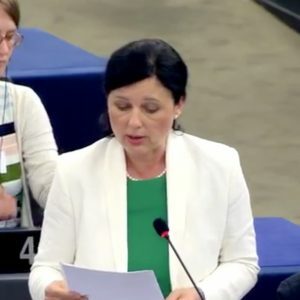 The Members of the European Parliament, on behalf of several countries, held a fiery debate to counter the commission. They reiterated the problems individuals with US ties are experiencing on a day to day basis. Bank accounts are being closed, mortgages refused, and businesses are having trouble operating. A comparison to Eritrea was also made by Sophie in ‘t Veld. That country has a similar way of taxing citizens wherever they live. In the case of Eritrea, the EU was very firm in reacting, so why not now. MEP member Seán Kelly stated that if this was the other way around and the EU tried to tax citizens living in the US Trump would show the EU the door. EU Commission Member Věra Jourová ended the debate by acknowledging that there are problems. However, EU counsel representative Karoline Edtstadler again reiterated that it’s not the role of the EU to intervene. An investigation would be started to see if banks are indeed refusing clients which they’re not allowed to. Americans Overseas followed the debate closely and is in touch with EU Member Sophie in ‘t Veld constantly. 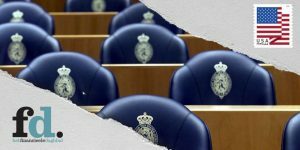 Although the commission so far does not seem inclined to intervene the positive outtake is that these problems are increasingly reaching the political limelight. The group of Accidental Americans has breached a next barrier by grabbing the attention of the EU commission. Americans Overseas remains in close contact with national and EU representatives to keep on pursuing the task of informing all involved (political) parties of the challenges faced by Accidental Americans in the hopes of change. 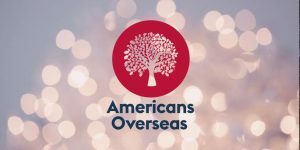 If you have more questions about the consequences of FATCA and CBT on European-American citizens and EU debates Accidental Americans you can contact us at Americans Overseas. This is another example of the effectiveness of the European Parliament: accidental Americans? I don’t know any accidental US American citizens. What are they talking about ? The Immaculate Conception, the European conquistadors, the native Americans, how derogative is the European point of view to talk about Americans as accidental, do they mean they send their out of wedlock overseas? It’s those who, while not holding US citizenship, could be eligible to be a US citizen. Boris Johnson the British politician, is an example. He was born in the US to British parents, took British citizenship, never claimed US citizenship, in short, he always held allegiance to the UK. But, under the draconian US tax laws, he is considered a US citizen for taxes. He sold his house in the UK and had to choose between paying a huge US tax on the profit, or be an outlaw, risk extradition to the US and charged with tax evasion. He did the former. LOL, and yeah, when an American man knocks up a foreign woman, even if the child never claims US citizenship, they are subject to US taxes.